Wow! That was hectic but fun. I got to meet some folks I’ve wanted to meet for a long time. . .purveyors of excellent audio. I also got to meet the brains behind Sony’s flagship MDR-Z1R and the WM1Z and WM1A, Naotaka Tsunoda and Tomoaki Sato. This year’s CanJam London was my second, and seemed to be a resounding success. An impressive list of manufacturers signed up, which inspired a large crowd to show up.  Across the last weekend of Wimbledon fortnight, the heart of London buzzed to the sound of personal audio, as CanJam came to town. . .CanJam shows are now rolling out across the world. . .